let's go shopping shall we? I bloody lost my Coach sunglasses fitted with power lenses somore this year. 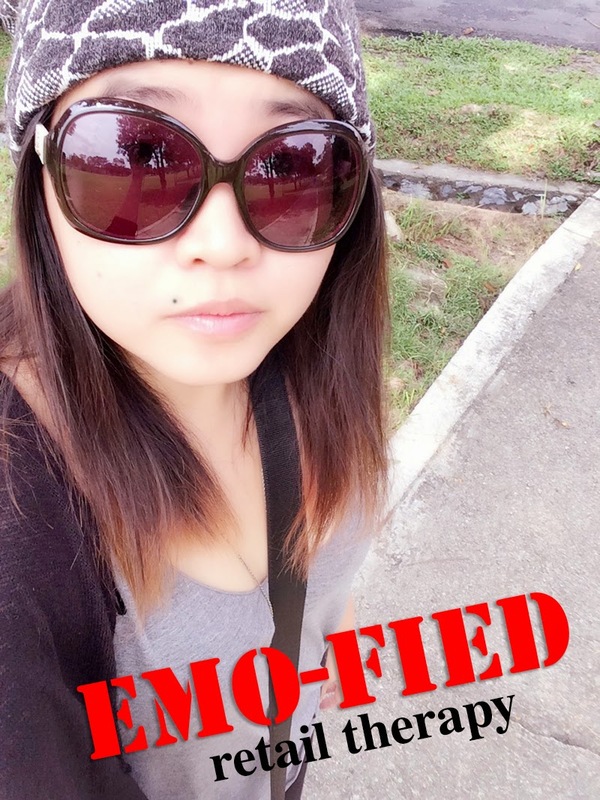 Dam sakit hati wei, I still want it back!!! What happened to it. Did I misplace it or put in some kawan's car? I have no idea. So many bloody things happened to me this year, may as well turn my life into that movie "a series of unfortunate events". 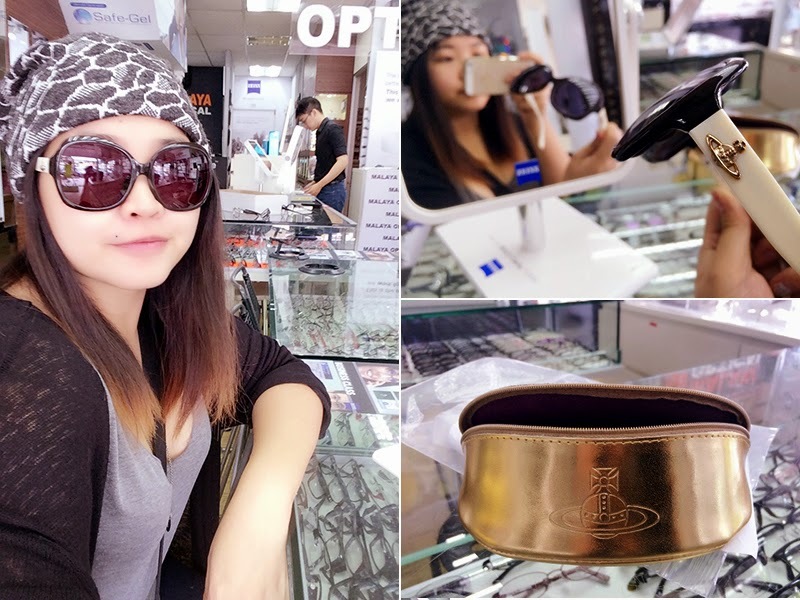 Beh tahan (tak boleh tahan betul) so I decided to go on a retail therapy spree this month starting with buying a new pair of shades at Malaya Optical, Uptown. You know I always come back here to get my frames done because it's my family approved shop haha. What can I say, you shop where your family shop haha. 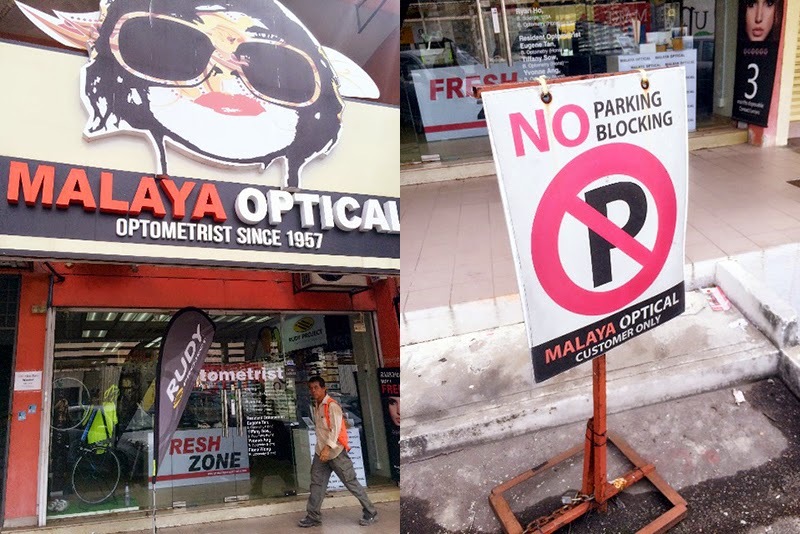 jeng jeng Malaya Optical Uptown! Dam I forgot to take picture with the owner, Ryan Ho. He's like the coolest dude in the Optical-sphere. Gives me member discounts coz I am their regular customer. He's always at the shop but I needed to make sure he's there when I visit because I always ask him "this looks good on me?" "which one suits me?" "what's in trend now?". After all he's like Tyra Banks of America's Next Top Model but for eyewear styling. 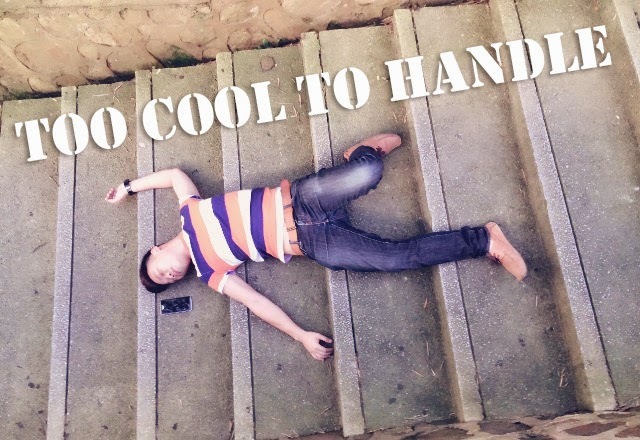 Yes he's has been on magazines and newspaper as Malaysia's first eyewear stylist and designer. 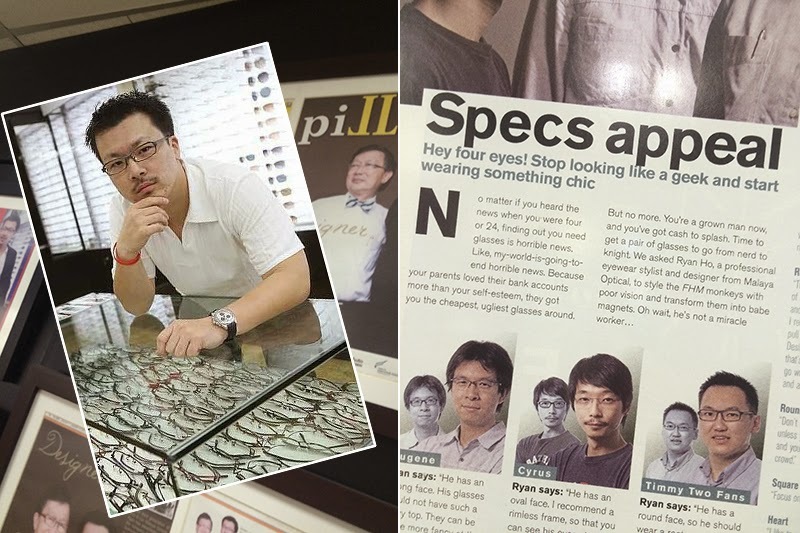 If you visit Malaya Optical Uptown, you can see the features on him framed up on his wall of fame. He gives styling advise to his customers as part of your Malaya Optical experience so don't hesitate to ask him what is good and what looks good on you for your budget. ask Ryan what looks good on you! they're having the end of the season sale now! Particularly love the colour and planet bling bling on the side of the sunglasses. Of course I could always choose other brands, there's so many like Oakley, Tag Heuer, Coach, Prada, Marc Jacobs, etc but I fell for Vivien Westwood on first sight. Malaya Optical's Collections of Brands of Designer Frames and Branded Sunglasses: Swiss flex, Wolfgang Proksch, Mykita, Coppe+Sid, Derek Lam, Marc Jacobs, JF Rey, Calvin Klein, Whiteout & Glare, Blackfin, Less Than Human, Tag Heuer, Oakley, Markus T, Moschino, Lafont, ByWP, Parasite, Boz, Round Frames, Retro Frames, Anitque Frames, Aha, Benetton, Burberry, Bywp, Coach, Emporio Armani, Fendi, Giogio Armani, Super, GF Ferrer, HausMarke, John Richmond, Max Mara, MiuMiu, Moschino, Nike, Prada, Paris Hilton, Robert Marc, Romeo Gigly, Rudy Project, Sama, Victor Rolf, Vivien Westwood, Zero Rh, Andy Wolf, Bevel, Blackfin, Boz, Byblos, Coppe + Sid, Derapage, Derek Lam, Dun, Dutz, Eco, Envisu, Face Font, Ferragamo, Frank Kids, Free Form Green, Gotti, Hana, Lotto, Metzler, Modo, IC Berlin, Parasite, Noego, Paul Smith, Perfect Number, Plasta, Ultem, Superdry, Staffan Preutz, Synergi, Spvvyi, Salt, Frency & Mercury, Gentle Monster Cutler & Gross, Victoria Beckham, Linda Farrow, Dzmitry Samal, Kenzo, Italia Independent, Carven, Sonia Rykiel, Carbon Fiber, Undostrial and Super RetroFuture many more. 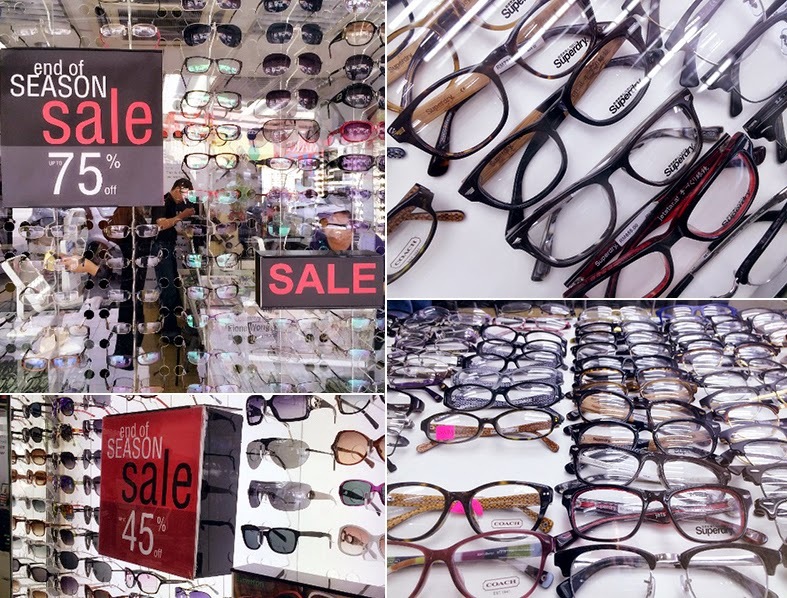 Now at Malaya Optical we are having an Eye Wear Promotions. From time to time you would have read about my guy friend Jeremy, we worked together at LivingSocial Malaysia for nearly 2 years. Recently we started hanging out again after a year of not speaking to each other. 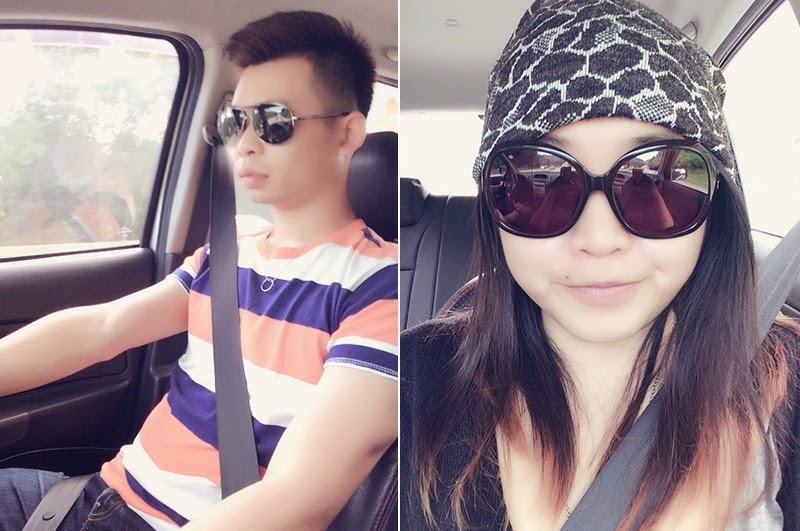 He drove me to Malaya Optical to pick up my sunglasses last Sunday and being insane, we decided to go on a road trip to Genting to have coffee and wear our sunglasses to show off. Well that's a brilliant "opening ceremony" idea haha!. The amount of selfies we took in the car *tsk tsk* I can only say wearing shades while driving is just too dam stylo. 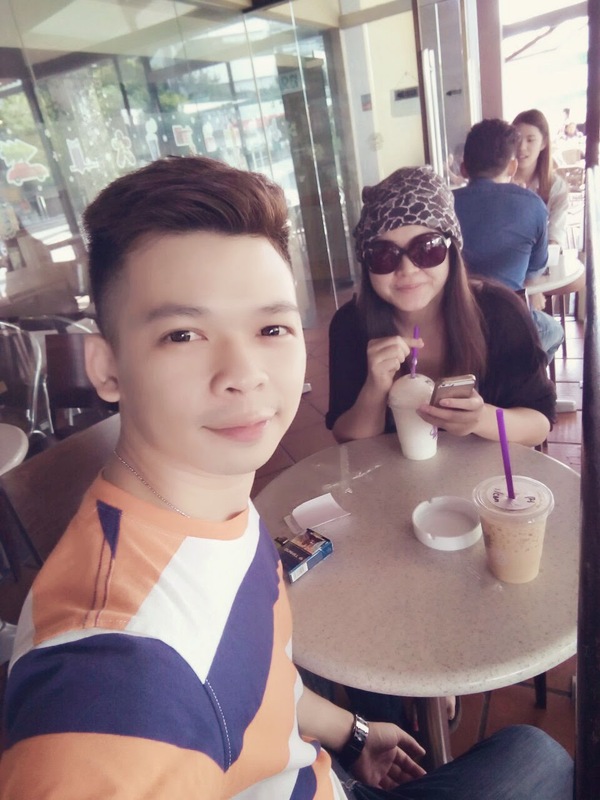 In less than an hour, we reach Genting, bought our Coffee Bean drinks and sat down for another selfie moment. I will say it again and again - every girl needs an awesome pair of shades to look fabulous. Don't buy Petaling Street one, invest in a really good one a.k.a branded lagi bagus coz it makes us feel and look good inside out. 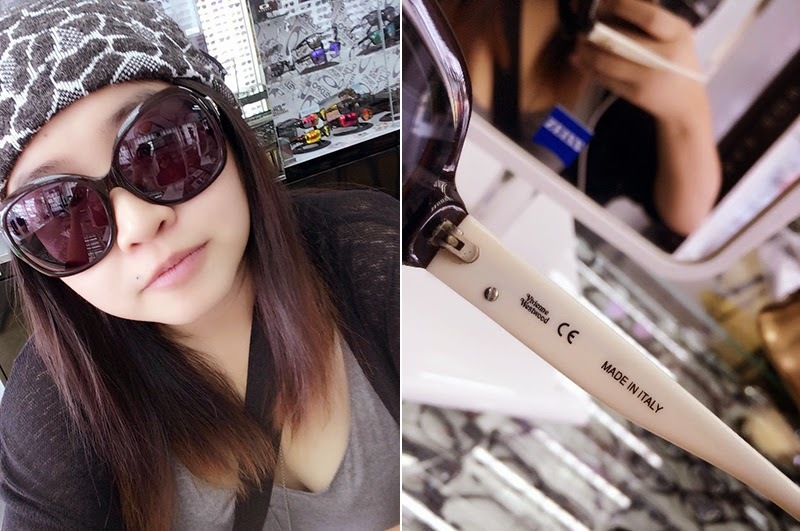 My Vivien Westwood sunglasses costs RM500-600 only (before discount) and the lenses which are power prescript goes for RM200-300. My Christmas gift to myself, beside my Macbook Air. Gosh this month is really retail therapy extreme to make up for the series of unfortunate events in my life. A fascinating side-effect from the theft in order to my personal eye appeared tag heuer replica sale to become a increase within the brand’s inspiration to get as numerous of the historical items as you possibly can within sale omega replica watches as well as through impartial enthusiasts. Although I'm informed which like a manufacturer Audemars Piguet offers usually dedicated to acquiring products using their previous plus they achieve this right now a maximum of these people do previously. Audemars Piguet consumes substantial assets to purchase back again most of it's background omega replica sale for his or her art gallery as well as records. They're in a growing crowd with this exercise, and also to their own advantage the organization offers remarkably comprehensive information returning in order to nearly the start of the organization. Kept along with mitts, the guide removed from the secure is actually set on the desk prior to me personally fake rolex uk as well as opened in order to uncover hand-written transcriptions of the purchase which occurred within the omega replica sale 1800s. Such as additional collection products created inside a cursive textual content no more utilized these days, the actual journal admittance pointed out the cost, the client, and also the motion research, amongst additional particulars.